How to Use Essential Oils to Create a Happier Home + Giveaway! They were overflowing with random products I had bought on sale or because they were recommended by a friend. Many of the items I used only a few times and each time I looked at them, I saw wasted money. 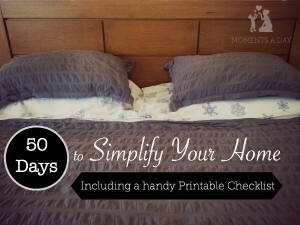 When we decided to simplify our home all those months ago, I took a good look at these areas and decided it was time to get them under control. When I started to declutter and saw how many bottles I was throwing out and how many half-used products I was never realistically going to use up, I decided it was time to actually take action and make my own products. #1: I want to use natural products. I don’t know about you but there are a ton of things I have on my “to do” list for bettering our home, and I am constantly playing catch up. It isn’t easy to change habits but I’m finding, one by one, we are learning and enjoying the process. It isn’t always easy though which is why I like to pass on our best tips! #2: I want to cut down on buying more bottles (less to throw away/recycle). My husband always reminds me that “refuse” is the first “R” before “reduce, reuse, recycle.” If we can cut down on products we bring into our home by making some things ourselves, that is the best option if we want to be kind to the environment. #3: I want cleaning supplies to be safe for my kids to use. I hate to estimate how many dozens of times one of my toddlers asked me to use the spray bottle when I was cleaning and I had to gear myself up for a tantrum because I was afraid of the chemicals touching their skin. Essential oils are dangerous to consume (and you wouldn’t want them in your eyes either) but smelling them in the air or getting a bit on your fingers is not a risk so this is a big “plus” in my books. When my baby girl becomes old enough to help with the cleaning, I will feel safe about letting her help. My big boys can also help me make our products too which is a great learning experience for them. I had seen lists floating around social media about the benefits and versatility of essential oils so decided that was a good place to start. I actually had a few bottles in my cabinet for a couple purposes (covering up the smell in our reusable nappy pail and for adding a few drops in our mop bucket) but when I googled “what to do with essential oils” I was surprised at how many things I could already make with ingredients I had at home! During my information gathering process, I learned that essential oils have many therapeutic capabilities as well as household uses. The oils I use, Thursday Plantation essential oils, are 100% pure, 100% natural and there are over 100 uses easily outlined on their website which makes it super handy to try new things. Now that I have started using essential oils, I regret all those years (and dollars) wasted on store-bought cleaning supplies. It really is so easy, so affordable, and so effective to use essential oils and make your own supplies. 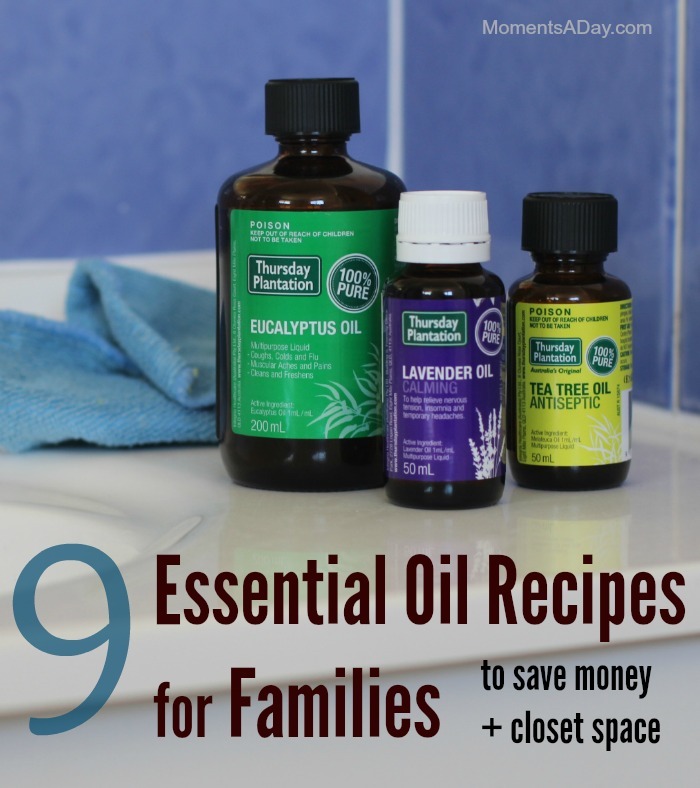 Below are 9 easy ways to use essential oils to reduce clutter in your medicine cabinet, cleaning cabinet, and laundry supplies; and what is best of all is that you can get rid of some of the nasty chemicals that used to be there. Traditionally used in aromatherapy to relieve nervous tension and sleeplessness, lavender oil can help calm, soothe and relax the body and mind. 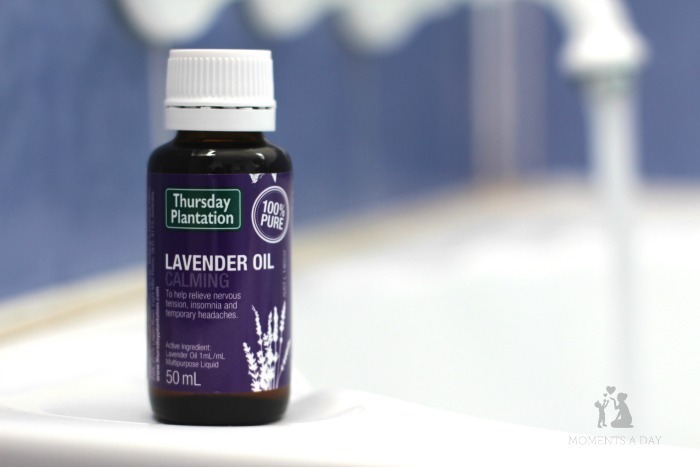 Bath time: Add a few drops of lavender essential oil to a warm bath to relax. Massage oil: Mix a few drops of lavender essential oil with a tablespoon of coconut oil to create a gorgeous massage oil; this is great to use before bedtime or when a child is not feeling well. Cue for bedtime: Dab a drop onto your pillow or onto a washcloth to place beside your bed. The smell helps the body relax and can be a great sensory stimulation for kids to calm down and get ready to sleep. Tea tree oil is a powerful antiseptic which inhibits a wide range of bacteria and fungi, plus it cleanses and protects skin abrasions. You can learn more about the properties on this page. Minor cut treatment: Apply sparingly to minor abrasions or insect bites. Air freshener: Add 1 tablespoon rubbing alcohol, 5 tablespoons water and about 5 drops of tea tree oil into a sprayer to create your own air freshener (the alcohol helps the solution mix together well but isn’t totally necessary if you don’t have any around; cheap alcohol supposedly works fine too). Mopping: Add a few drops into your bucket of hot water, with a bit of vinegar if you want to as well. Mop away and enjoy the lovely scent in your home! Eucalyptus oil can be used for tons of personal and household uses. You can read more about its qualities on this page. All-purpose cleaner: Pour half a cup of vinegar and about a capful of eucalyptus oil into your spray bottle then fill it with water. Shake to mix and then spray in the kitchen or bathroom as an all-purpose cleaner. Stain remover: Use a eucalyptus oil spray to remove stains on your clothes. Just mix a capful of the essential oil into a small spray bottle filled with water. Laundry freshener: Eucalyptus has mold reducing properties. Just add a few drops into the laundry machine and it will help keep your clothes fresh! Using nature’s oils makes me happier, my kids happier, and my wallet happier too. It means I can get the kids involved in cleaning more too because I’m not worried about them being exposed to harmful substances. I have been using get the kids involved in cleaning more too because I’m not worried about them being exposed to harmful substances. Have you used essential oils before and, if so, what is your favourite use for them? Answer the question above before 5pm on Thursday 12 May 2016 to enter the giveaway! The winner will be chosen based on the most creative response. Australian residents only, please. See full terms and conditions here. This is a sponsored post. All opinions are my own. To read more about sponsorship on my website, visit this page. 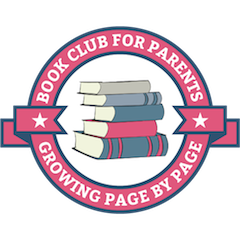 They sound like great tips – pinning for future reference! I’ve abolished almost all chemical cleaners from my home for years and the place is definitely just as clean from using the home made variety and the saving in $ is massive. I love to put a few drops of essential oil in the bath and in an oil burner to give the home a nice scent – lavender is my favourite. What a fantastic post and giveaway!! I have been really wanting to learn more about essential oils and also start using them more (like you, it’s been on the list to do to help our home, haha!!). I use a couple but would really like to incorporate them into daily life more fully, especially as I slowly rid our home of more toxic alternatives for cleaning, self care, etc. 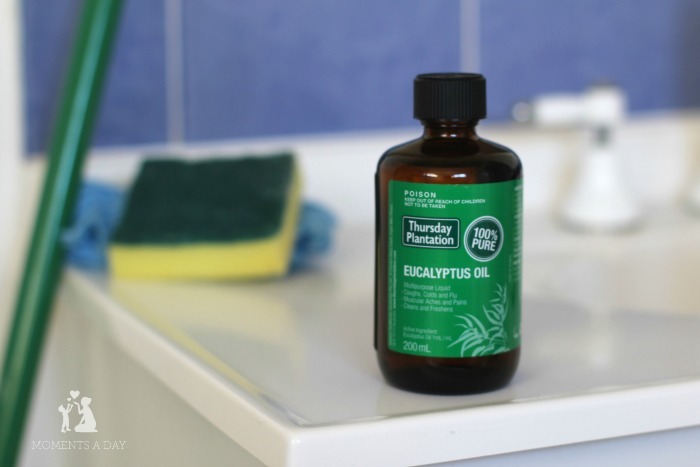 One oil I do use and love is Eucalytpus oil. My favourite way is to add a little to our vaporiser at night for anyone who has a cold and congestion. It is incredible how you can go to bed all clogged up and snuffly and rather than waking up even worse (as you usually do), you wake up breathing easily and feeling clear headed, thanks to the power of the eucalyptus oil in the air. It always amazes me! Nature is pretty fantastic for providing all this powerful, healing goodness! Even better to utilise it as best we can. Not sure where to enter the competition, but yes i have used essential oils before, eucalyptus oil for getting bubblegum from my daughters hair! It was not fun at all, being a 2yr old that wouldn’t sit still. Oh the joys of parenthood. What a great article. Yes! I love adding Eucalyptus to our washing ~ makes it smell fresh and keeps the germs at bay! I also use a “Breathe ~ Essence of life” for my baby girl Lavender helps her sleep and allows her to relax and the Eucalyptus helps when she has a cold. Makes our home smell divine! I found it on TVSN best thing I ever bought our home, works better than a vaporiser, which can cause mould on your walls. I have never looked back after purchasing one of these! I like to put a drop of lavender & eucalyptus on a hanky for my kids when they have the sniffles. Also I do the same and leave the hanky in the car for a natural air freshener. A few drops of mint oil in the mop bucket also helps to deter insects around the home as they do not like mint! Love essential oils and the Thursday Plantation ones are very affordable for everyday use. My mum is great at using essential oils. I remember her always putting lemon oil on cotton balls and putting them at the bottom of the indoor rubbish bins. Always made the bin smell nice and not disgusting. This post has been help as I never really know what oils are good for what! I absolutely love essential oils and use them in my everyday living. I use them for my daughter to create thing to help with rashes or mozzie bites. My fiance, daughter and I all use them in our baths before bed to help with pain and sleepiness. I have a small aromatherapy business and we use some amazing oils but they are super expensive and its been hard keep the business up and ru ning we gove more then we get but we don’t mind as we love other benefiting from using our bath products. I learned about oils from my mum and we started out business together. She has a chronice back injury and she uses benzoin oil, bergamot and a few other oils to help reduce some of the pain. I personally love benzoin and Clary Sage as the smell wonderful and great for so many things. But I do also love Lavender oil as it helps the whole family get a good nights rest. Great tips – I’ve been interested to use more essential oils too, but wasn’t too sure where to start. I do use lavender oil, just because its lovely. And eucalyptus oil to remove sticky labels and such. Grandma and Mum educated me on essential oils. In my life and the life of my family it has eased pain, removed stains, created peace, helped with focus of mind, eased tension, and been a household aid. I hope to win this prize because I passionately believe in their immense value. Fantastic article – well done. 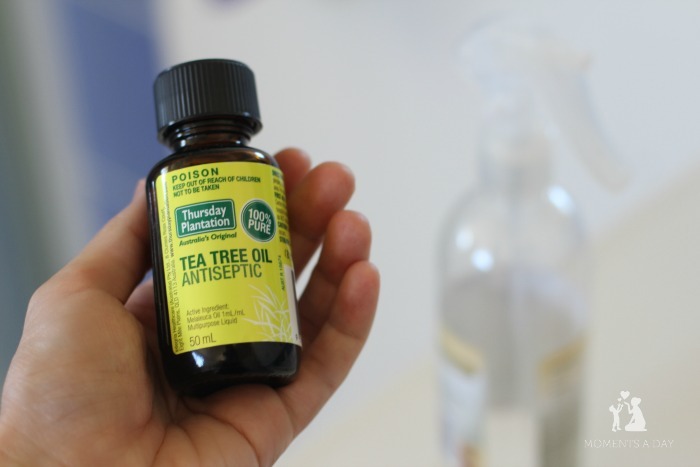 I use Tea tree oil on skin breakouts, lavender in my car (helps with a calm drive to work in the horrendous Melbourne traffic and Eucalyptus oil in the washing – add a few drops to a flannel and it makes the whole load smell fresh.